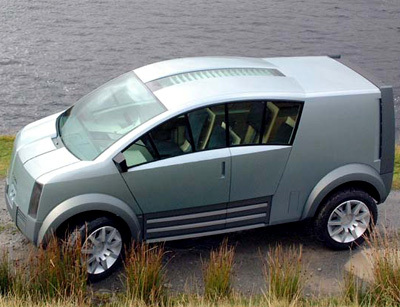 The Isuzu ZEN concept from the 2001 Tokyo Motor Show was in fact a creation of British designer Geoffrey Gardiner, despite the fact that the styling influences for the vehicle came from a variety of sources including Japanese 'tatiami' rooms, modern art and architecture. 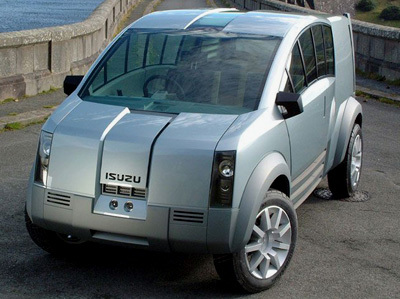 The ZEN concept was partially a development of the Isuzu KAI concept from 1999, but moreover it was a new vehicle which explored the viability of a vehicle which combined the off-road potential of a SUV with the practical functionality of a van. 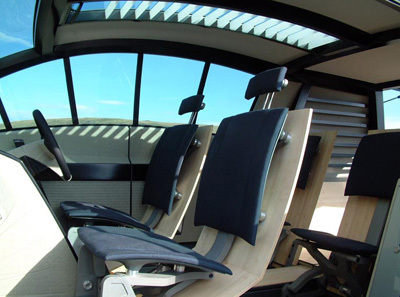 The interior of the Isuzu ZEN was divided into two areas. 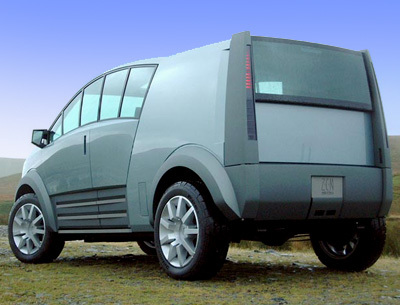 The passenger compartment, and a fully enclosed cargo area at the rear which could be sealed off from the passenger area. 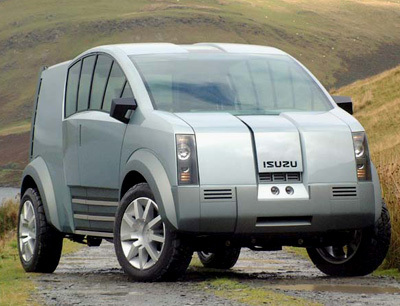 Powering the Isuzu ZEN was a front-mounted 3.0 litre turbodiesel V6 which drove all four wheels via a four-speed automatic transmission.